Following the success of our handcrafted fairs over the last 9 years, we are again hoping to showcase some of the fantastic local independent craft & food people in the area; and aiming for the weekend to be an exciting event in a marquee style environment in the grounds of Southwell Garden Centre. 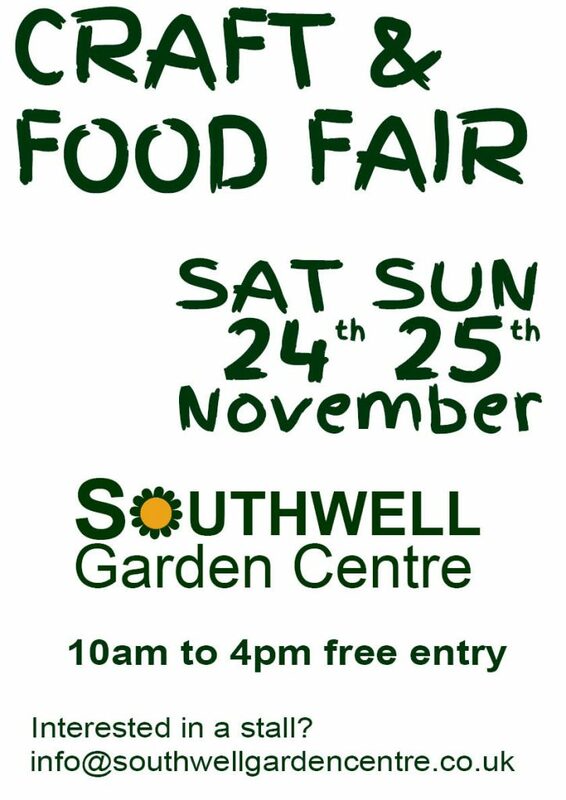 Interested parties should contact info@southwellgardencentre.co.uk with description of their work. We will as before be selective in the stalls we book, as we wish to offer a good range.